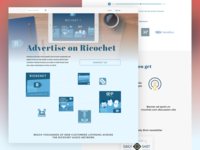 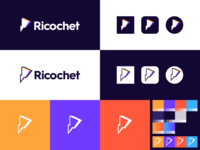 Ricochet — Development! 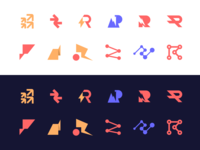 Using a serif and feeling weird. 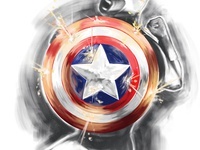 But I like it. 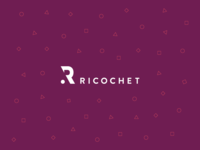 Logo Design for Signage Company — Strong and simple logo design for signage company called Ricochet. 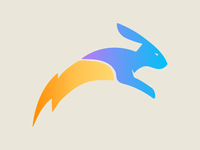 Jumpy Bunny - Logo - Color — Ricochet, the lighting bunny. 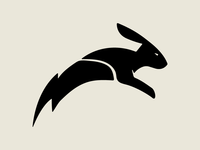 Jumpy Bunny - Logo — Ricochet, the lighting bunny. 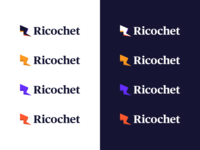 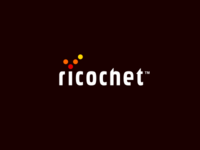 Ricochet Logo Design — One of my oldest logos, slightly modified.